A 3 ball rolling bag would usually weight between 12 and 15lbs without any items inside. Hello Ernie. This bag does have restraining straps for you bowling balls. Yes, it does store 3 bowling balls. Yes, it will have 5 inch PVC wheels. 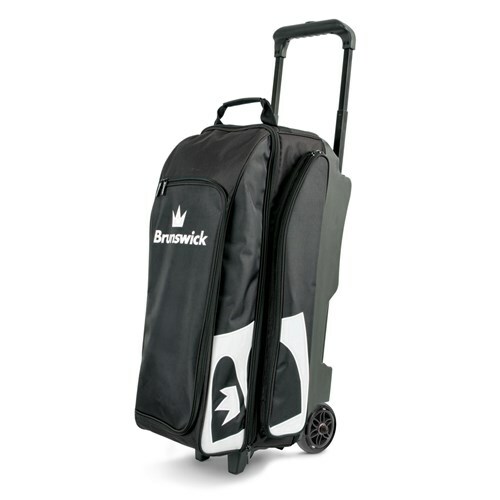 Due to the time it takes to produce the Brunswick Blitz Triple Roller Black ball it will ship in immediately. We cannot ship this ball outside the United States.